There are many colorful fall drives in Minnesota for those that want a sample of the Midwest’s glorious seasonal views. Take Highway 95 from Taylor Falls to Afton to witness the brilliant foliage at four different state parks with scenic river views. However, this route is a popular one in the fall, so look out for traffic. Head to Mille Lacs Kathio State Park to see several great Minnesota lakes on the way, including the Gull, Pelican, Cross, and Whitefish Chain lakes. Check out the park’s observation tower! While this route also takes place on Highways 108 and 78, it winds through several country roads, too, featuring local farmland, historic sites, and two state parks. The winding Minnesota River takes you past the colorful golden hues of indigenous hardwoods. Relax in nearby parks like Mankato and New Ulm, and stop by Minneopa State Park to see the waterfalls. Loop around this more urban fall view that encircles Lake of the Isles, Calhoun, Harriet, and Nokomis Lakes. All you have to do is follow the Grand Rounds Scenic Byway. 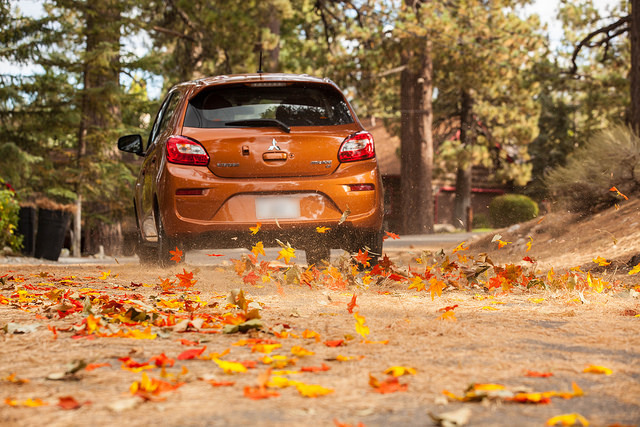 Check out these colorful fall drives only in Minnesota. If you need a ride for exploring, then come to Don Robinson Mitsubishi for your next vehicle.